According to the Merriam-Webster Dictionary, chemistry is defined as the science that deals with the composition, structure, and properties of substances and with the transformations that they undergo. As sports fans? We know better. Chemistry is described by how well teammates mesh with each other. It’s what separates an average team from a championship contender. Chemistry is the science that deals with harmony both in a locker room and on the pitch. And though it’s not measured by any one statistic, it’s easy to identify. When a team has chemistry, you can see it. You can feel it. A player on a team with strong chemistry knows where everyone is without having to see them. He can make the extra pass or double-team a forward without instruction because what follows is an unspoken understanding among teammates on how to cover it. In a sport in which 99 percent of the game is anticipation, knowing what your teammates are going to do before they do it is vital to success. Chemistry cannot be built, however, without harmony in a locker room. Players getting along off the pitch leads to players getting along on the pitch. A team with so many different countries and cultures on the same team may find harmony difficult to come by. For the Quinnipiac men’s soccer team, however, they’ve created an atmosphere that even the most cohesive locker rooms would be jealous of. Cultural diversity has been a common theme among Da Costa’s Quinnipiac squads, dating all the way back to his first season at the helm in 2005. This year’s team, however, is undoubtedly one of the most global and wide-reaching sides he’s ever fielded. Among the countries represented in the 26-man roster are New Zealand, Norway, Northern Ireland, Spain, France, Ireland, Greece, Australia, and Germany – not to mention the 16 natives of the United States that bring a culture of their own. With all of these players having come from vastly different backgrounds, it might have been essential to change their customs to fit those of America in order to find success – however, what Da Costa and his squad found was that the key to success was exactly the opposite. In fact, allowing players to show their culture and share their stories in the clubhouse has been a key to success in and of itself. In fact, diversity plays more than one role in the Bobcat locker room. Not only does it allow the players to get a glimpse into what other cultures are like, but it draws a greater amount of regard among teammates. And those familial bonds continue to grow with a dozen athletes who are an ocean away from their hometowns. The attempts of Da Costa and the returning players to create an open locker room have not gone unnoticed, either. 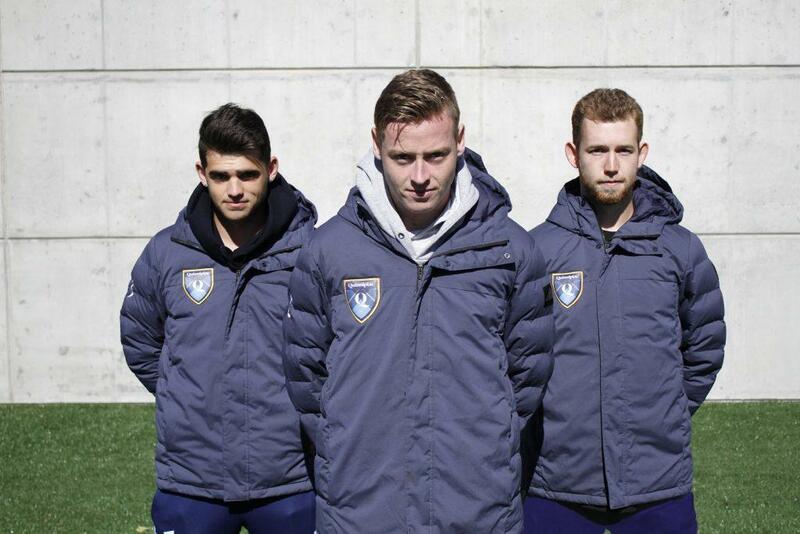 With three incoming freshmen from outside the United States, creating a sense of acceptance and friendliness is a tall order – yet, it’s something they’ve been able to bring to fruition for freshman internationals Jordon Bennett (Australia), Dejan Duric (Germany), and Oriac Vila (Spain). “Having a bunch of different nationalities and cultures obviously could be a bit of a struggle for everyone coming in, but everyone is very accepting, especially for guys whose English isn’t that great,” said Bennett, a freshman fullback from Tumi Umi, Australia. Creating and upholding a sense of cohesion in a locker room filled with cultural diversity starts from the top and trickles its way down. In this case, the “top” isn’t Da Costa – it’s senior captain Matthew Taylor, who strives to keep a positive mindset within the team both on and off the pitch. Taylor, himself a native of Ireland, has carried the bulk of captain duties over the course of this season. He, like many others in the squad, finds the value in diversity among teammates. Taylor also helps to create bonds between players when they aren’t on the pitch, taking an ice bath, or in the athletic training room. Off the pitch bonding can be invaluable with players of so many different backgrounds, and that is something that everyone, stateside or international, enjoys together. And those kinds of relationships are essential for a team’s success on the pitch. Because no matter how tight a locker room is, there are still challenges that arise with an influx of internationals. For Bennett, Duric, and Vila, that transition is one that they’re still in the process of. For veteran players like Hillinger, Taylor, and Evans, they are looking to extend the arms of their open locker room to the incoming players. Despite the cultural differences among everyone, though, there is one thing they all have in common: a love for soccer. And when they step onto the pitch, race, culture, and native language all get thrown out the window. “When you’re on the pitch, there’s not too much of a difference in terms of culture, because it’s a game. You’re all focused on winning,” said Evans. That’s why each and every one of them is here, after all. To play the sport that they love at the collegiate level. And to win. When the players put on their jerseys and step onto the pitch, race doesn’t matter. Or language. Or skin color. The only thing that matters is ability. Because here’s the thing about soccer: it knows no cultural borders. Soccer does not discriminate based on color or native language or wealth. Soccer is the only thing on this planet that can take two individuals from two completely different upbringings and place them on a truly equal playing field. On its own, soccer is a language – and it’s a language spoken by men, women, and children in all corners of the globe. That’s why it’s called The Beautiful Game.